Cobbes Plumbing & Heating LTD. - Cobbes Plumbing & Heating LTD.
Gerald Cobbe started Cobbe's Plumbing and Heating LTD in 1954 and the business has continued to grow and serve the Portage la Prairie and the surrounding Central Plains area for 60 plus years. We have 45 knowledgeable and skilled employees with a wide range of expertise and experience ready to help you with your Residential and Commercial Plumbing, Heating and Electrical needs no matter if the project is big or small, a new build or a renovation/upgrade project. We strive to provide quality workmanship from start to finish of each project. We are a part of Apprenticeship Manitoba helping to promote growth in the industry and in our city. We believe in living and supporting the community that supports our business through shopping local, volunteering and supporting many community projects and events. 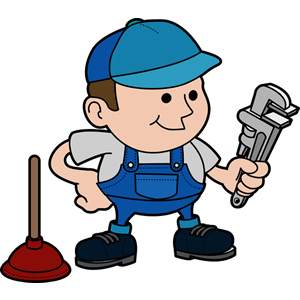 We have qualified professional servicemen ready to help you with all your Plumbing, Heating and Electrical Systems working for you. We strive to provide quality workmanship from start to finish of each project. We offer quotes/estimates for all your plumbing, heating and electrical projects whether they are replacement and repairs, new construction, renovations projects residential or commercial. We have a large fully stocked parts department that allows us to provide same day replacement and repairs for most projects as well as over the counter sales for all your do-it yourself projects. New and repair/replacement of septic tanks, fields, well hookups, sandpoints. Water and sewer line trenching. We offer backhoe services, snow removal and vacuum truck services. We have the professional experienced staff to tackle all projects big or small. We provide design built specs for new projects as well a renovation projects. We are COR certified. We offer dewatering services for all your underground digging projects.